Skirts: 23 1/2" X 12 1/2"
Stirrup Adjustment: 29" to 34"
13" Double T youth saddle with suede leather seat. 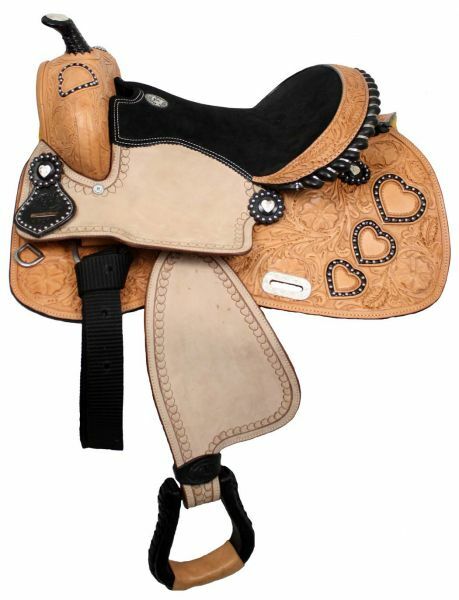 Saddle features floral tooling on pommel, skirts and cantle. 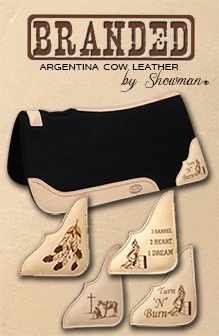 Saddle features a black rawhide silver laced cantle and black rawhide braided horn. Roughout fenders and jockies with heart stamped design on edges. Saddle features heart shaped designs with silver beads on pommel and skirts.